Did Reliance JIO Speeds Increased after Happy New Year Offer? After hitting the magical 50 million userbase, Mr. Mukesh Ambani made it official that their JIO customers can have unlimited access to their services. This got termed as the JIO Happy New Year Offer; Essentially the JIO Welcome Offer got extended until 31st March 2017. But there was a catch regarding the same, In the live keynote, Mr.Mukesh Ambani stated that "Everyone can avail the free services on their JIO Ecosystem, but the daily Internet Access 4G speeds would get reduced to 128Kbps after the 1GB Data Cap limit. 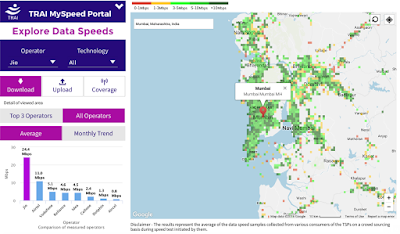 Since there was an extensive usage of internet by few customers, JIO's network suffered congestions. Even though the Happy New Year Offer made all the existing customers happy, but the few thought that this would affect the speeds due to the 1GB Cap limit. But is that true? Let's find out, Since we believe after expanding their services at setting a lesser cap limit would help JIO in increasing the downloading speeds as they're getting the congestions resolved. According to my usage, the speeds have increased quite a bit, Whereas the network seems steady. Although everyone might notice these increased rates, Once the 1GB Data Cap limit is triggered. Since most users won't be able to access additional amounts of data. 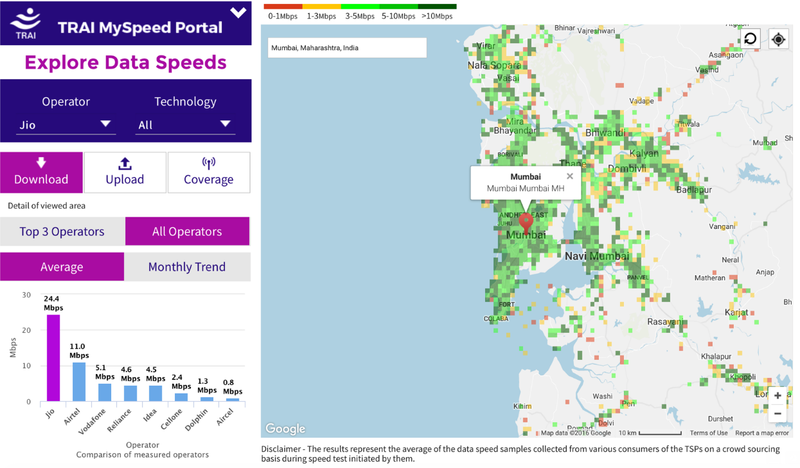 I stay in Mumbai, where I've seen the consistency of the speeds on JIO'S network, Not so sure about the other regions. Whereas even according to TRAI, Reliance JIO network stands high compared to all other Telecom Operators. The only reason for these lower speeds was congestions. According to Mr.Mukesh Ambani, Only 8% of the towers suffered blockages, while the rest are working strong at relative speeds. They've committed that they will work hard to remove the congestions from their network. They also add that call drop rates have now reduced to 20% from that of the preceding 90%, which is a great thing. Though don't you think that 30GB @4G speeds per month are sufficient for a regular user? Increased Reliance JIO Speeds after Happy New Year Offer. So Jio users will observe a drastic change in the number of speeds, Due to the 1GB Cap Limit. It's certainly a good thing as most of us only require the necessary amount of Data just to solve our social media needs, isn't it? Well, hardly most of us consumer 1GB data per day, when we're using mobile data. So if JIO provides 1GB Data Cap per day, In turn providing an increase in the number of speeds? I'm down with it. What do you guys think about this? Let me know in the comments below. Also see: Is JioMoney The Next Digital Wallet of India?